The Korea Deposit Insurance Corp. (KDIC) said on June 1, 2006 that it plans to ask an international court for arbitration regarding the issue of whether Hanwha Group's 2002 acquisition contract of Korea Life Insurance (KLI) is binding or not. South Korea's state-run deposit insurer has been in a dispute with a Hanhwa-led consortium after selling a 51 percent stake in Korea Life Insurance Co., the country's No. 2 life insurer, in 2002 for 1.6 trillion won (US$1.69 billion). This is the first time KDIC, the organization which handles the sales of financial institutes and corporations investing public funds, has applied for an international arbiter to decide as to whether an M&A contract is valid or not. Depending on the final results, the sale of Korea Life Insurance could become completely void. The deposit insurer claimed that Hanwha extended money to Macquarie Life, which was part of the consortium, to meet the requirement that only a life insurer or a consortium involving a life insurer was allowed to bid for the Korea Life stake. Yonhap News reported that Hanhwa Group promised to buy back the Korea Life stake from Macquarie one year after the purchase and bear all costs involved in the joint purchase. Also, Macquarie was allowed to manage one third of assets held by Korea Life, the deposit insurer said. A KDIC official claimed, "Hanwha had engaged in a side contract with Macquarie where Hanhwa supported the acquisition funds and all of the various financial expenses made by Macquarie during the bid under the condition that Macquarie sells Korea Life Insurance to Hanwha in the year of the acquisition," Maeil Business Daily said. The official continued, "Although Hanwha Group did not admit of any side contracts during the bidding, such facts were confirmed in a legal judgment and thus we have applied for international arbitrary handling contract nullification matters." "Hanwha Group breached regulations and was disqualified for the deal," a KDIC official said. "We plan to submit a request for arbitration to the International Court of Arbitration in July." Stunned by the KDIC's action, Hanwha said its acquisition of Korea Life was fair, adding that it had abided by all regulations and requirements. The business group raised speculation that the state-run agency is hampering its right to buy an additional stake in the life insurer. 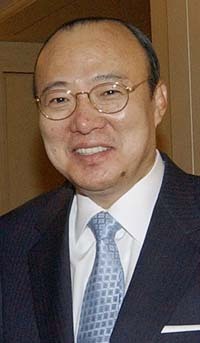 Hanwha is allowed to purchase an additional 16 percent stake in Korea Life by December 2007. Shares of Hanwha Corp. plummeted by 3,800 won, or 14.9 percent, to close at 21,700 won on the local bourse on June 1.